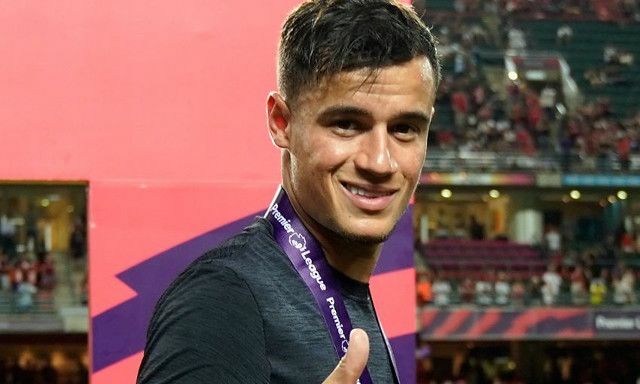 Liverpool’s Brazilian no.10 Coutinho has explained why Mo Salah and Sadio Mane are so crucial to the team’s chances of success. In our strongest XI, Salah cuts in from the right, Mane from the left, with Firmino acting as a central focal point. Coutinho is given a free role behind this front-three, where he roams around midfield and looks to link-up with the other members of the quartet. When on the field together, the foursome have averaged a goal every 23 minutes – a quite ludicrous return. “Sadio and Mo are both great players. They are both very quick and they give us options down the sides. They are players with great intelligence,” Coutinho told the official website. Jurgen Klopp has rarely used them all together, in order to maintain their fitness, but part of us would like them to be let off the leash slightly more often! We understand the manager’s worries, considering how injuries have affected his first two LFC campaigns, but when there’s talent like that at his disposal – it must take some real discipline to rotate so heavily.